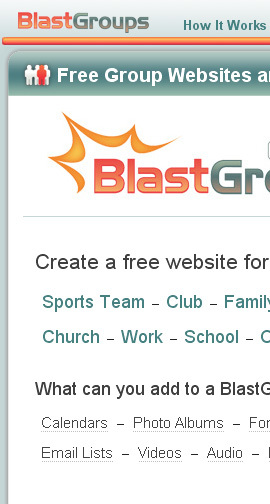 Blastgroups is a site where people can go and create a group site for free. You can upload pictures, video, articles, blogs, calendars, discussions forums and more. It was built to be highly customizable but also very secure.